Welcome to my new blog and website which coincides with the start of the next phase of my career working at the newly relocated Queensland Eye Institute. I am thrilled to upload my very first blog entry to mark my first foray into the cyberworld. 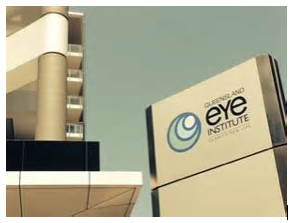 I commenced work at the Queensland Eye Institute in March. It is an impressive building undergoing extensive renovations which are nearing completion. Within weeks there will be full day surgery facility downstairs, joined by research laboratories and teaching facilities to be a “one-stop shop” to fulfil the goals of the Prevent Blindness Foundation. With this website and blog, I hope to be able to disseminate interesting snippets and patient information about myself and the services that I provide. I am always open to feedback and suggestions so please don’t hesitate to contact me. For more information about the Queensland Eye Institute and the Prevent Blindness Foundation please visit www.qei.org.au.